The clean lines and minimalist style of this 6-drawer dresser make it an ideal choice for your contemporary bedroom. The large smooth surface of this stunning piece is perfect for displaying family pictures, souvenirs and your favourite decorative objects. With the spacious six drawers, your clothes are well organized and all in one place. 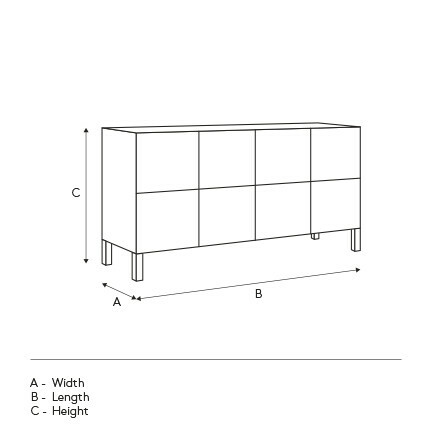 You will also appreciate the integrated dampers that ensure the drawers close softly. We could not ask for more!